First, some inspiration. 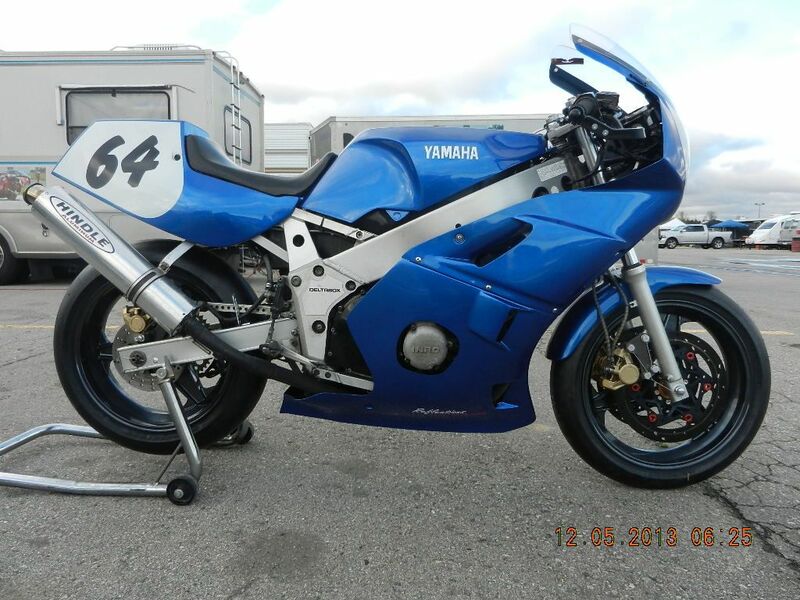 This is my vintage race bike,1989 Yamaha FZR400. 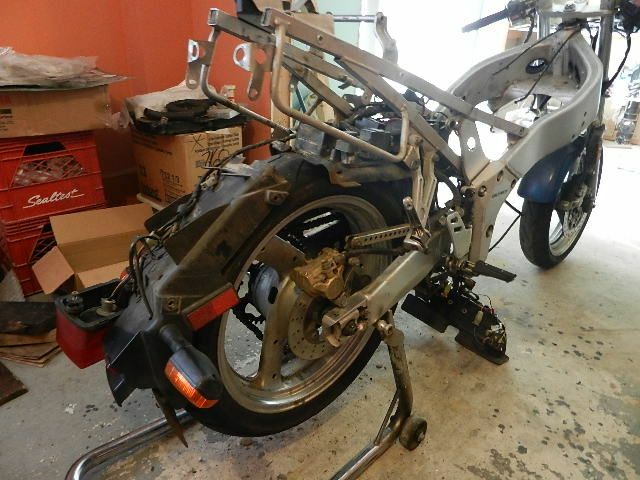 This bike was originally from the USA. 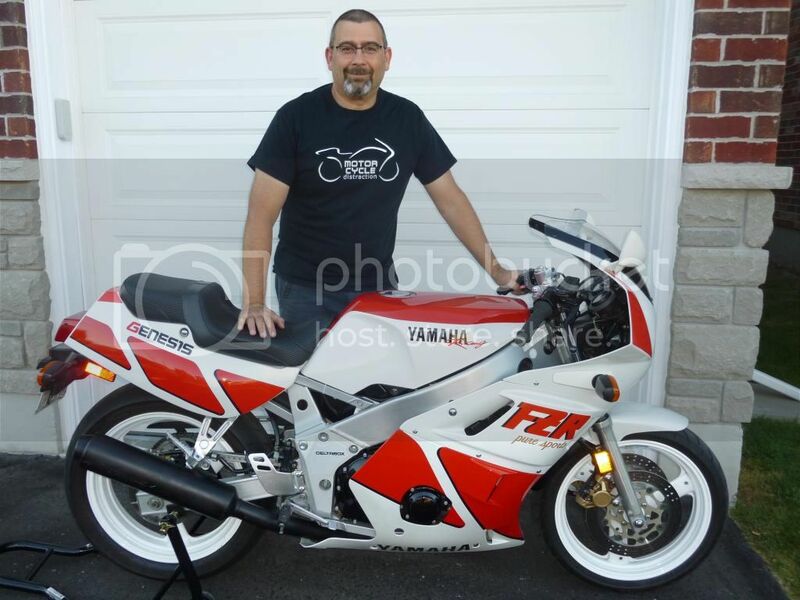 The original owner put about 5000 miles on it, then the second owner bought it and turned it into a race bike and rode it for 3 years. The engine had a rebuild at some point, presumably with the objective of more power ... more on this later (I don't even know what I'll find inside the engine). 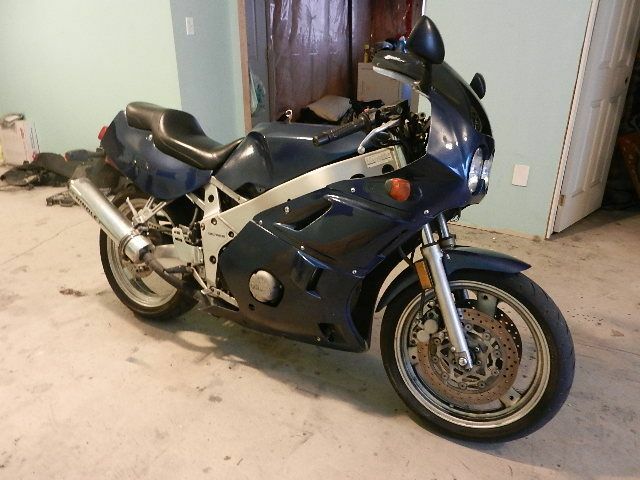 Then (in 2000) I bought it as a spare for my own race bike, and put it on the street. 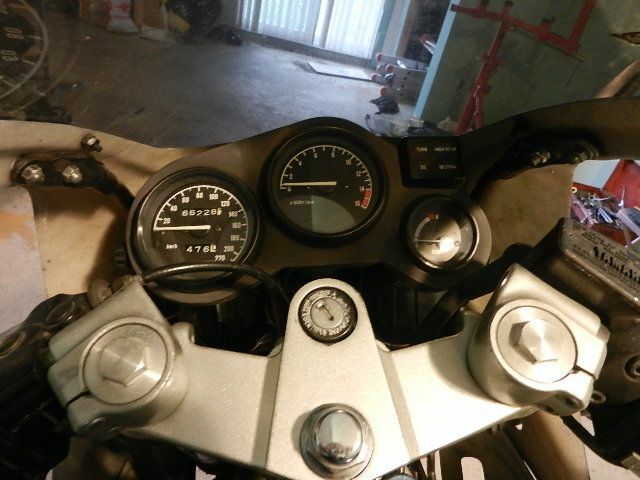 In order to have metric instruments, I installed the speedometer from my race bike, which showed around 25,000 km at the time. It has seen many Deals Gap trips, many Thursday night rides, one crash into a car that turned left in front of me in Tellico Plains TN, and now it's tired. Gearbox shifting feels loose ... not unlike my race bike felt before 4th gear went boom. I'd rather fix it before 4th goes boom. 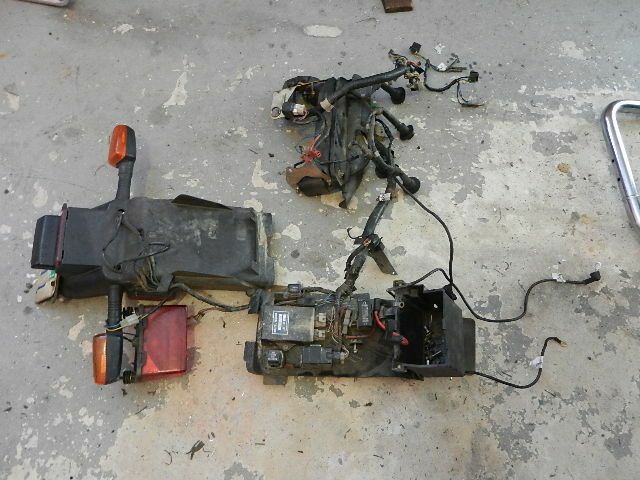 I have another set of cases that has a lower-mileage shift drum and shift forks in it. But ... swapping these out requires splitting the crankcases. 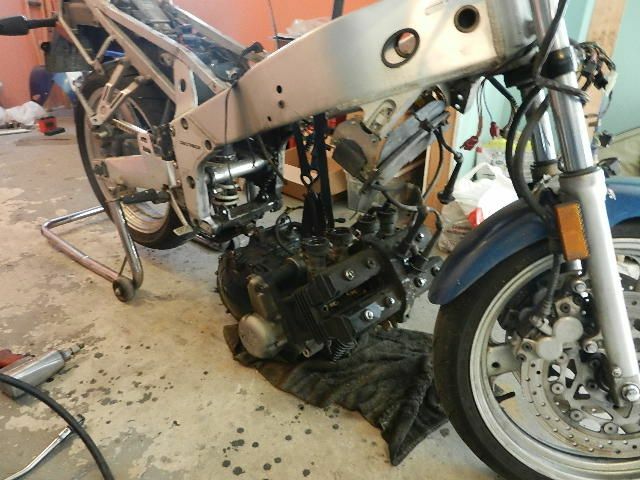 The FZR400 engines were built by Yamaha with a ticking time bomb inside, in the form of two oil-restrictor jets that were only loosely screwed in. 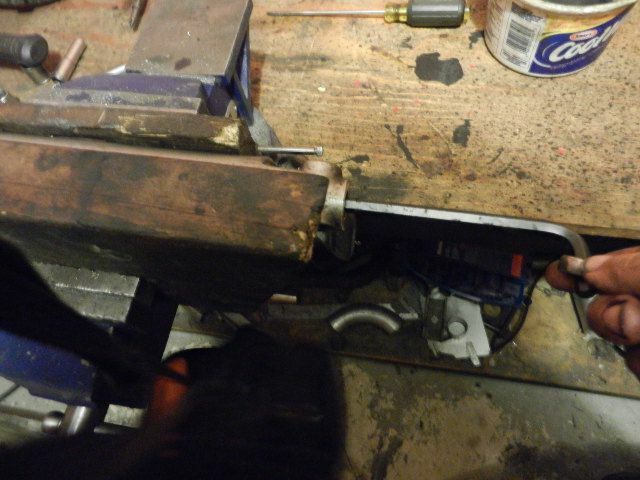 If they unscrew and back out against the back of the crankshaft main bearings, kaBOOM. Spun rod bearings. 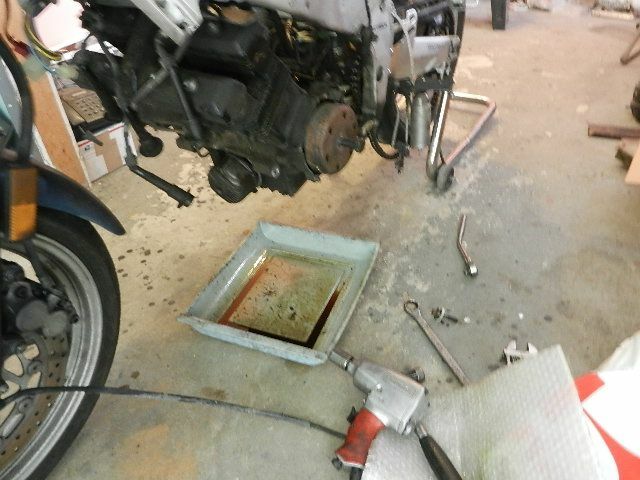 It is an easy fix once you split the crankcases ... I always put a drop of loctite on them and screw them all the way in. This engine has been apart in the past and it hasn't blown up. Was the issue dealt with? Only one way to find out ... split the cases! It's known that the intake ports on this engine have been ported and polished. Unfortunately, that is not the thing to do with these. The stock ports are already too big. There's a reason that this engine has stayed in this bike and the other engine has stayed in the race bike! 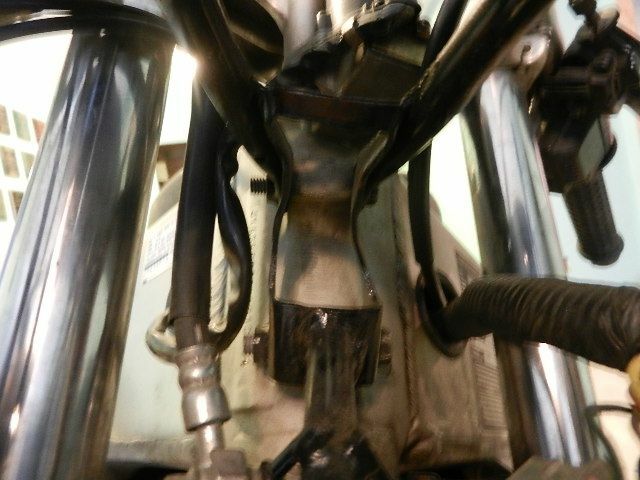 In fact, in this summer's rebuild on the race bike, I made the intake ports smaller. Add that to the to-do list here. Aside from the engine ... The steering head bearings are shot. The lower triple clamp is bent (has been, the whole time I've owned the bike). The handlebars are bent. Left fork seal is blown. I have no idea what's inside the forks ... I suspect they're stock. 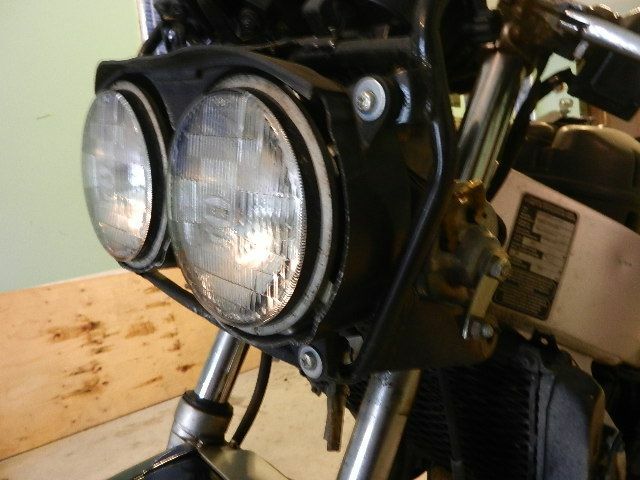 There are a couple of minor (cosmetic) dings in the frame that I'd like to touch up. 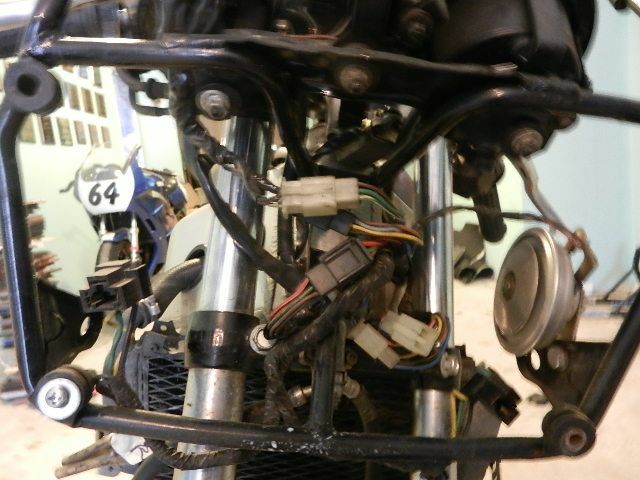 The remote reservoir for the rear shock is zip-tied to the subframe and I'd like to mount it properly. 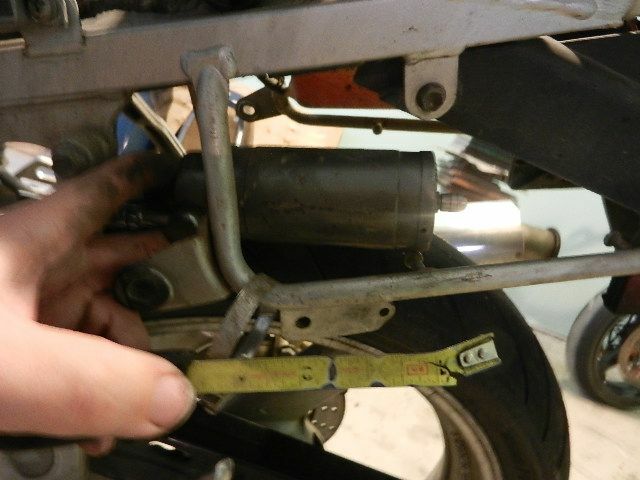 The spring on the rear shock is too soft, but I now have a take-off from my race bike that should do better. I'd like to install a lightweight lithium battery and that requires a different voltage regulator with a modification to the wiring harness. Obviously, that's only the stuff that I know right now. 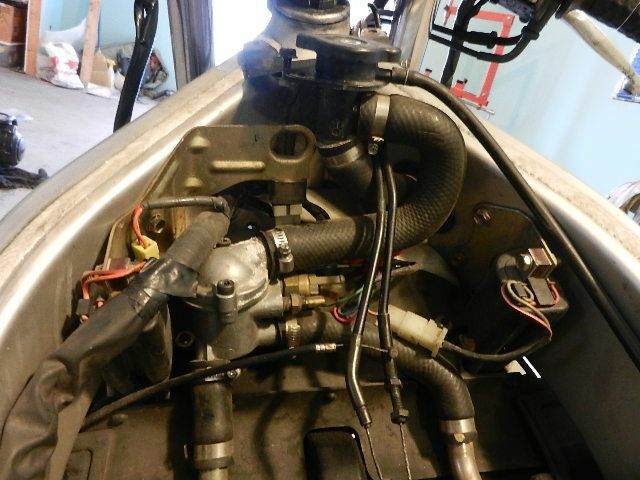 After stripping off the bodywork, here is the shock reservoir. Last spring, at Deals Gap, the hose from the shock to the reservoir blew. Wheeler's fixed it with a brake line but was limited to what could be found in the shop, to get me back on the road. It really needs a longer line, and it could use a proper mounting bracket. This photo is for reference later when I fabricate something to hold it in place. Bent birdcage! I have a new one still in its packaging. But ... I'm going to keep using this one. 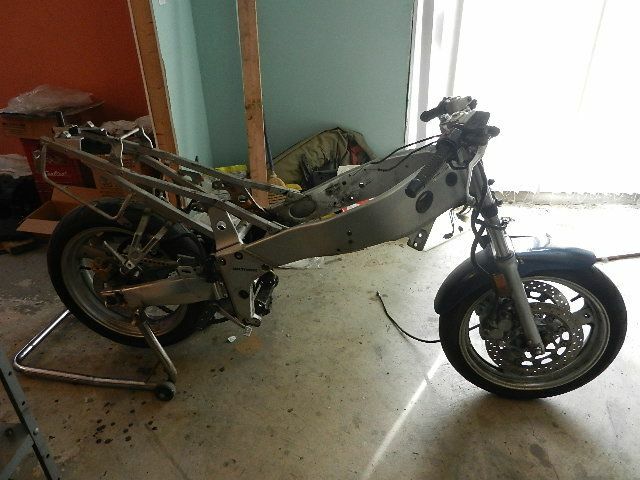 After the crash in 2007, I bent (and cut and welded) this one back into shape. It's functional ... and by continuing to use it, (A) I don't have to take the instrument brackets apart, it is a pain to deal with, and (B) that way I'll still have a perfect spare to use as a reference, just in case! Reference photo showing cable and hose routing. 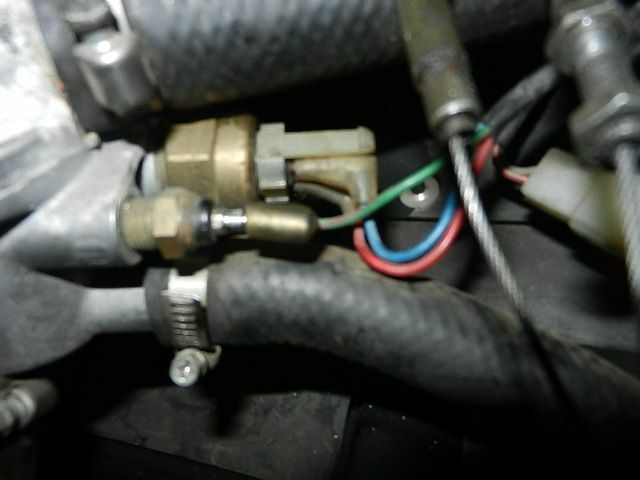 Add an item for the to-do list ... the residue on the thermostat housing indicates a slight coolant leak. Reference photo showing electrical connectors in frame opening. 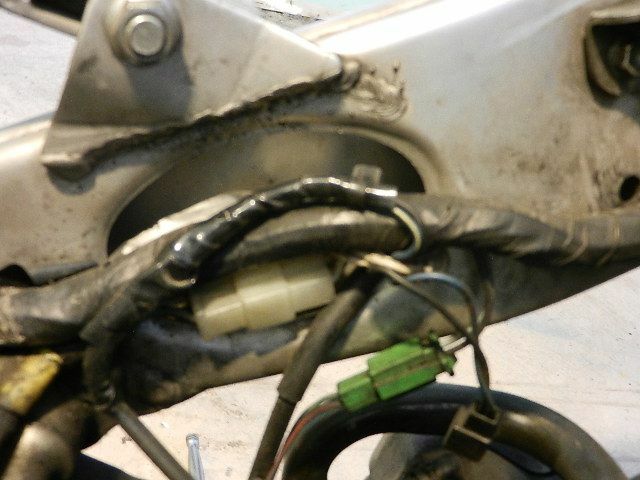 A legacy of this bike's race-bike past is that there is no connector for the side-stand switch ... previous owner cut the harness to remove it. I soldered the wiring back in place ... but no connector. 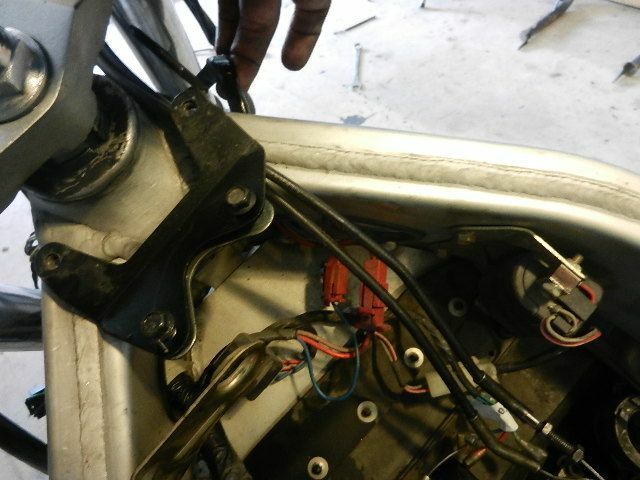 Note for re-assembly - the side-stand switch has to be routed inside the coolant pipes before installing the coolant pipes on the engine. 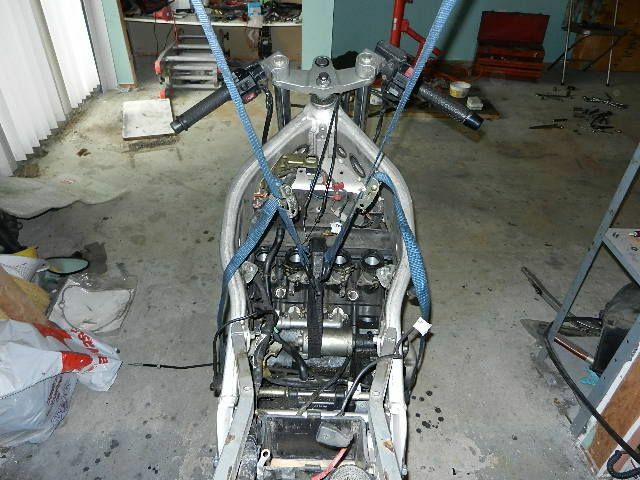 Engine supported from overhead structure in the shop. 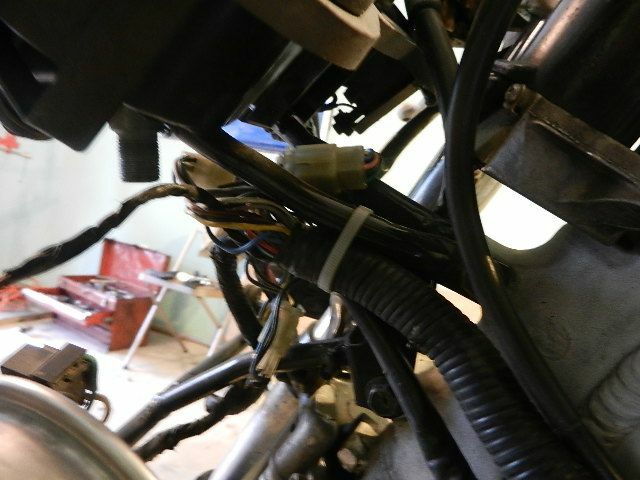 Front part of the main wiring harness freed from the frame. 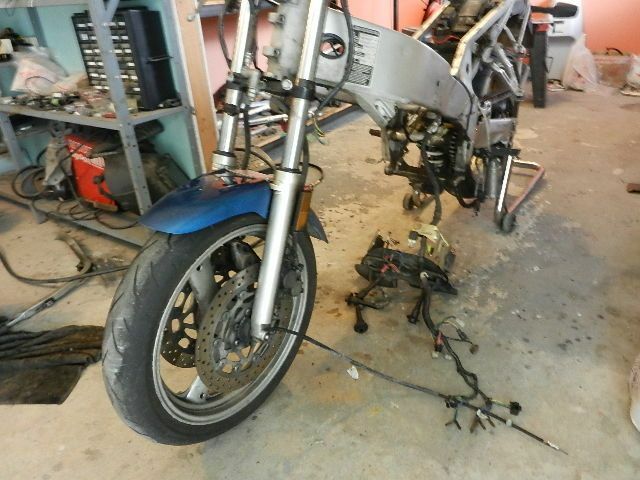 Harness and rear fender out of the bike. There was one other thing discovered during disassembly that was a really good thing to discover ... The countershaft nut was stripping itself and was only sitting on there by about half of a thread! Wouldn't have been much longer before it came off. And, a sure sign that the lower triple clamp is bent: the stem doesn't line up with the hole in the upper triple clamp after lifting the upper clamp clear. It's off by a millimeter or two. 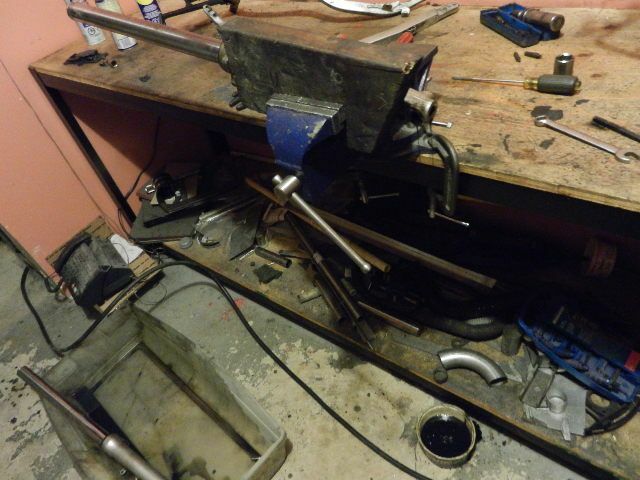 At this point, I am stuck until I can get a 8mm extended hex bit to get the damper rod bolts out of the forks. Well, not quite stuck. 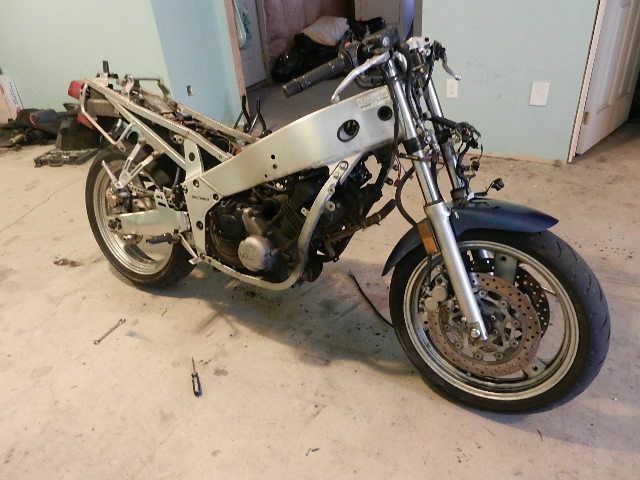 I got the frame, subframe, and swingarm separated and disassembled. 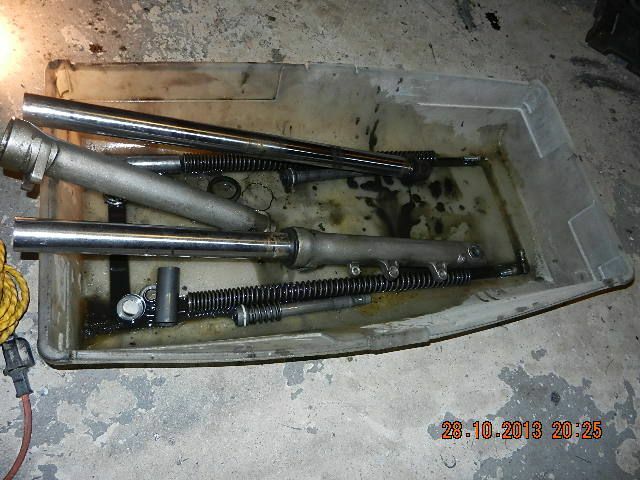 The swingarm was full of water! Cool, will definitely be following this thread. Haha, love it. keep up the posts, look forward to seeing this build. I love a good rebuild. I will be watching this one.. 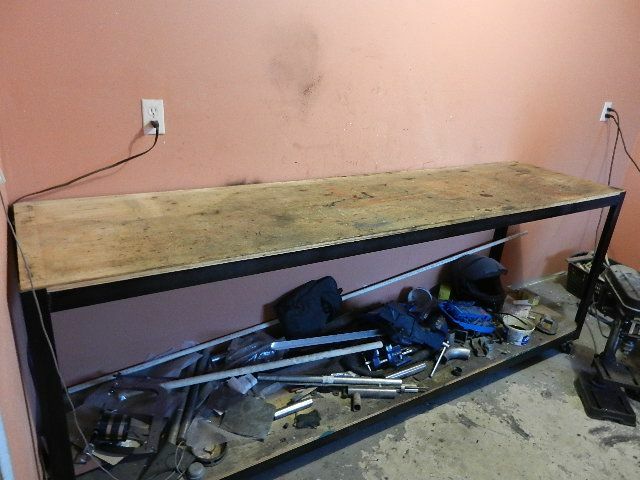 I love the reference photo of the empty work bench, lol! Only progress today was to clean up the worst of years of dirt accumulation. Or maybe a JDM one? 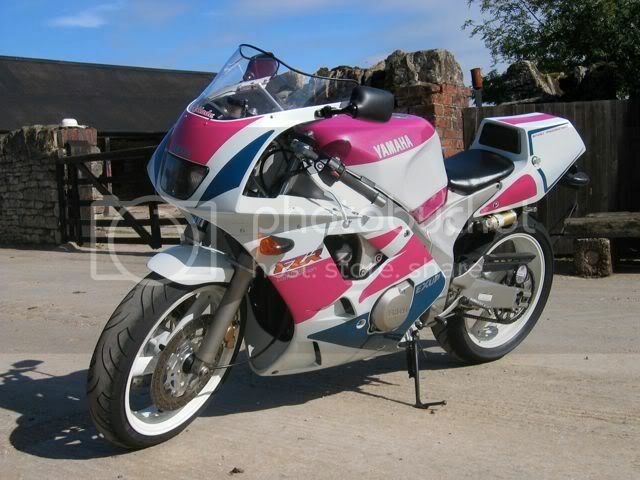 I saw you in Practical Sportbikes magazine last month. Allen key with a wrench for leverage broke the damper rod retaining bolt loose, then I had to make up a tool for the air impact to get it the rest of the way out. The damper rod wants to spin with the bolt otherwise. 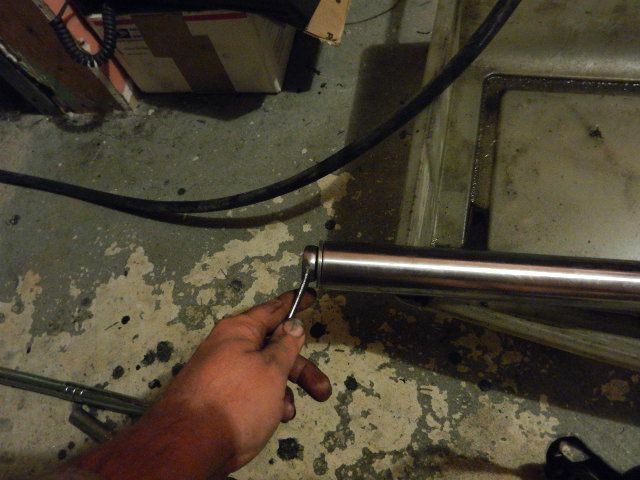 I actually ended up removing this bolt with an air impact ... otherwise the fork tube wanted to spin. Then the washer, spacer, and spring come out. 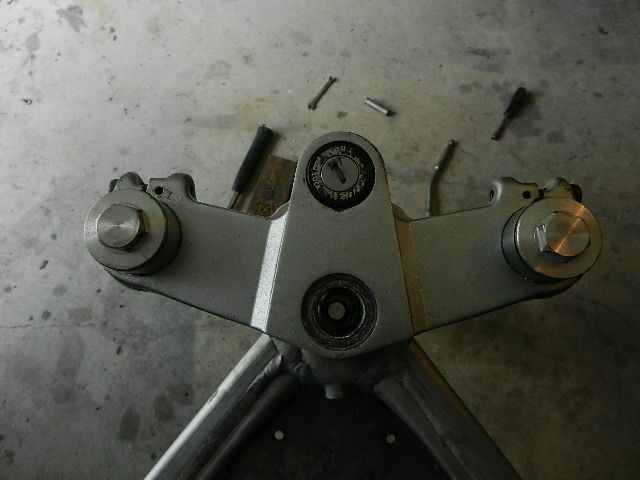 Flip the fork upside down and the damper rod and top-out spring come out. It seems that these forks only had a top-out spring on one side. The parts diagram suggests otherwise, but there was only one. Pry up dust seal with thin flat screwdriver then pry out the clip. 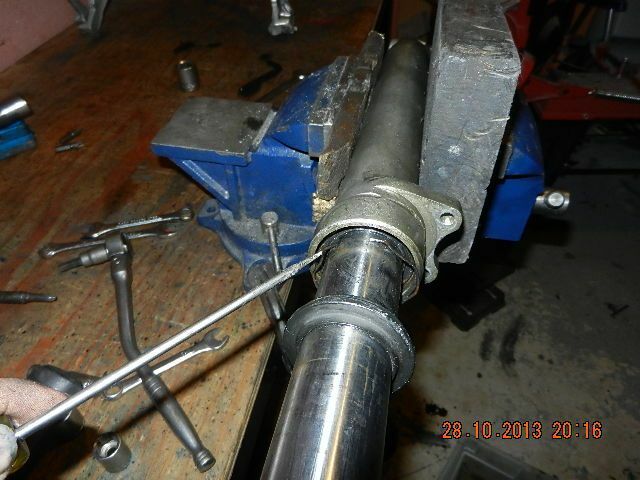 After this, you use the fork as a slide hammer to pull the seal and bushing out. First fork done, second one partly done in this photo. The dual-rate winding on the spring, and the absence of valving on top of the damper rod, mean these forks as shown are completely stock. They're not going back together stock. A slightly sharpened broom handle jammed down in the fork leg can work to keep the damper rod from spinning. Works pretty good. Its how i did mine. I should add that the guide bushings are shot. No surprise; they are wear parts - and the black filthiness in the oil is coming from guide bushings as they wear.